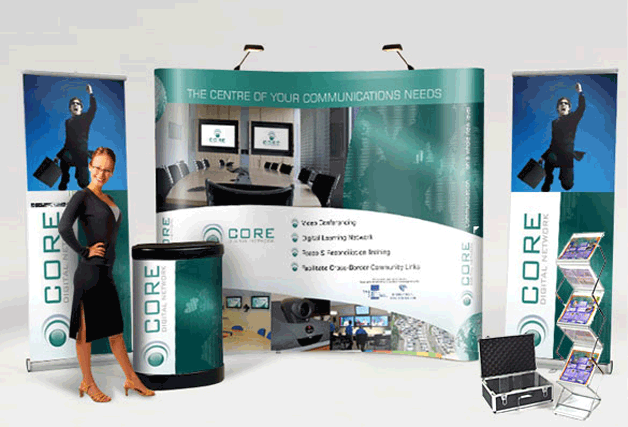 Assuming all the correct planning and preparation has taken place, including strategies and the appropriate equipment, there are still a few hints and tips that anyone taking an exhibition stand to a trade show or other event should remember. From making friends with those on adjacent stands to appropriate dress codes and arriving early, follow this basic advice to ensure that the foundations are all in place for a successful trade show. It should go without saying, but arriving ahead of time for an exhibition allows for extra preparation (not to mention the pick of the parking spaces). The first port of call should be the spot allocated for the display, where the stands should be assembled in the decided arrangement. The extra time gives those working on the stand a little time to neaten everything up; hiding cables, putting packing materials in the bin and ensuring personal items such as bags and coats are all out of sight. Once this has been accomplished, it is useful to find out where toilets and refreshments are situated, and ensure that your pitch is properly signposted, with stands visible from a variety of angles. Getting the people on the stands opposite and adjacent on side is always useful. This doesn’t mean spend an hour explaining your business plans and products to them; simple greetings and offers of assistance should they need it are always appreciated. This may appear friendly but isn’t actually an entirely selfless act; if the surrounding companies aren’t competitors in any way, they may be able to refer people to your stand if necessary. They can also be helpful in times where there is a dire shortage of paper clips or adhesive tape. The answer to this question is almost invariably ‘no’ in an exhibition environment. Pouncing on every visitor who walks within a three metre radius of the stand and asking them if they need any help is one of the fastest ways to ensure that visitors give the stand a wide berth in the future. Many attendees at exhibitions and trade shows will already know exactly what they are looking for, or at least have a good idea. Simply engaging in eye-contact and smiling can be a much less intrusive way of offering assistance if a visitor requires it. They then know that help is available if they need it, and aren’t frightened away by over-eager sales assistants.